Steve Mallaby, COO, The Argility Technology Group. The Argility Technology group, a leading innovator and implementer of customised enterprise software solutions for the retail, financial services and supply chain industries, has announced the acquisition of SkyData Communications. Last year, the group revealed the finalisation of a partnership deal with SkyData to complement its comprehensive Internet of things (IOT) framework that enables local enterprises to integrate, manage and optimise their growing IOT ecosystems. This move is in keeping with the Argility Group's expansion strategy and is its fourth acquisition in the past 12 months. Currently, the group comprises: Argility; Cquential Solutions, Fleet Domain and Indaba Mobile. All are leading technology innovators and well established in the provision of customised enterprise software solutions. Argility Technology Group chief operating officer (COO) Steve Mallaby notes the real value of the acquisition lies in the platform, which was developed in response to growing industry trends and opportunities in the market. He says the addition of SkyData Communications to the Argility group is significant, as IOT is delivering substantial opportunities and is achieving efficiency, risk management and compliance returns for industries across all sectors. These include areas such as predictive maintenance, logistics, security, smart metering, asset tracking and connected operational intelligence. "This latest acquisition places the Argility Technology Group in a very strong position in the SA technology market. As the infrastructure in South Africa has evolved, so has the need to collect huge amounts of data while digitising and optimising processes. As the price of sensors and devices fall, and machine-to-machine communication standards are rapidly advancing, everything around us will need to exchange data, becoming one big Internet of things," says Mallaby. 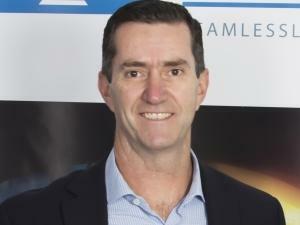 Mallaby says the group is now positioned to enable South African enterprises to integrate the broad spectrum of their IOT devices into a single management platform to support advanced workflow, compliance, analytics and reporting. "The scalable, low latency Argility SkyData platform is capable of sending and receiving messages from thousands of connected sensors and devices, within a secure and resilient environment." He notes the platform has multiple integration levels, allowing organisations to collect and process data from any machine or sensor, merge it with transactional data and unstructured information, and set up rules to trigger alarms and notifications to manage the device or machine. "Businesses need to have real-time visibility of their operations and assets for quick and informed decision-making. With IOT, it is now possible to connect machines and devices to achieve this, and with SkyData, it becomes possible to manage and enhance the value of the entire IOT environment. "Traditionally, enterprises seeking to harness IOT typically had to roll-out multiple platforms to manage each suite of IOT endpoints. Argility now simplifies the ecosystem with our SkyData platform. This latest acquisition further strengthens our drive to become a leading technology partner of choice in Africa," says Mallaby. Argility, a member of the Argility Technology Group, is a leading innovator and implementer of customised enterprise software solutions for the retail, financial services and supply chain industry. Its vast experience combined with a depth of proprietary software and skills enables the company to address the multitude of challenges facing businesses in today's digital transformation era. Argility solves complex business problems by supplying and supporting various customised software solutions such as point of sale, ERP, warehouse management, fleet management, IOT management software, proximity marketing, prescriptive analytics and more. Argility strives to become an extension of its clients' businesses and not just another solution provider. The Argility Technology Group comprises: Argility, Cquential Solutions, Indaba Mobile, and Fleet Domain. All are foremost technology developers and suppliers of customised enterprise software solutions for the retail, supply chain and fleet industries.